Because J has been posting photos of her holiday on the face space, I thought I would turn to my phone and see what story its recent photos tell. It's a fairly predicable one...full of stuff to eat and see and think about. But some of it is noteworthy. 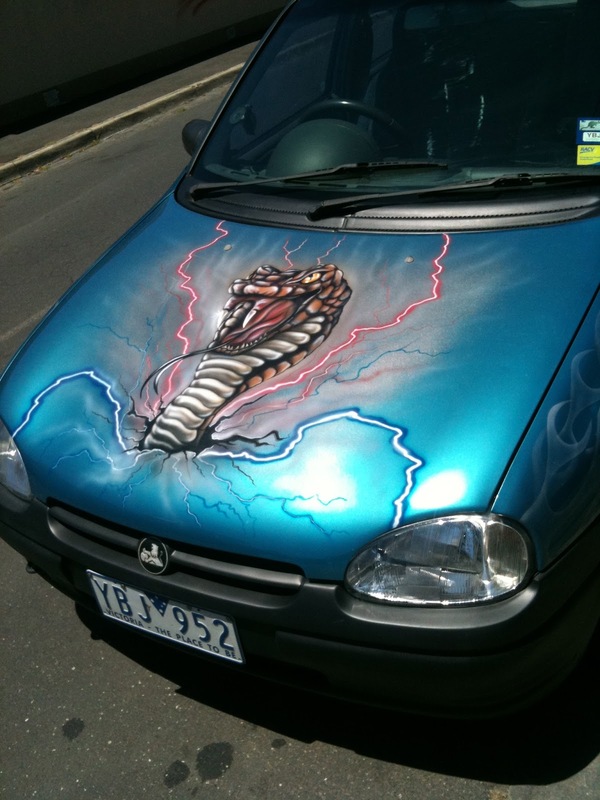 Like this truly explosive snake art on the bonnet of a Holden Barina that is sometimes parked on my street. 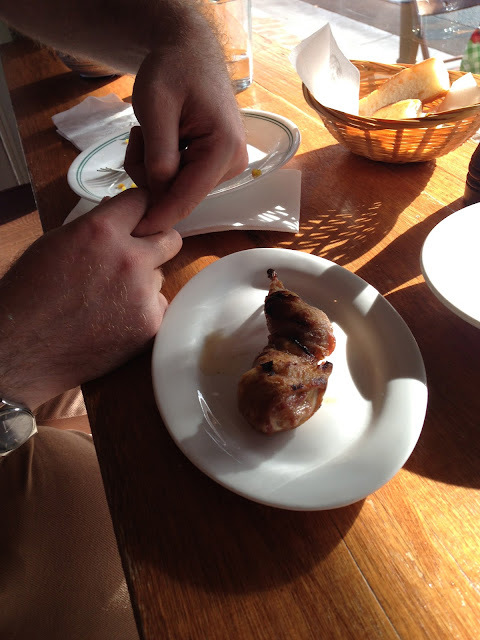 Some delicious quail, wrapped in proscuitto I ate at Bar Idda recently. That's Russeth making a lewd hand gesture in the background. I'm not sure whether that hand gesture is an established thing, but I get where he was going with it. 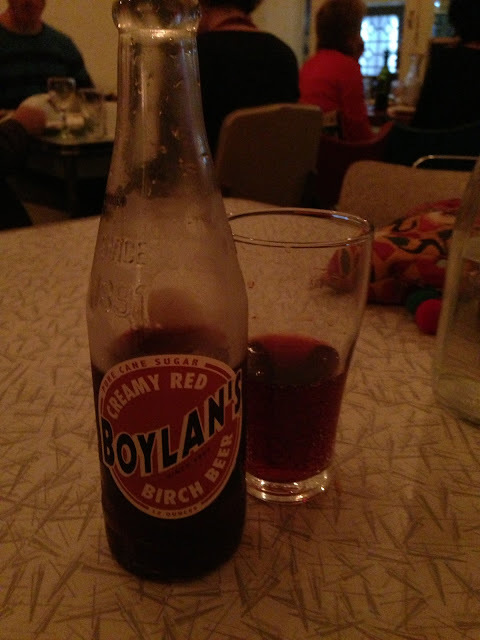 Here's a drink I had at some fancy curry place in Northcote the other day. It's called Birch Beer. The dude who sold it to me told me that it's made with some part of the birch tree and brewed in waters of a stream that runs off Niagara Falls. His spiel had me rolling my eyes very very heavily, but because of my FOMODT I ordered it. It tasted exactly and I mean EXACTLY like Deep Heat. And it wasn't even alcoholic. But I drank it all. 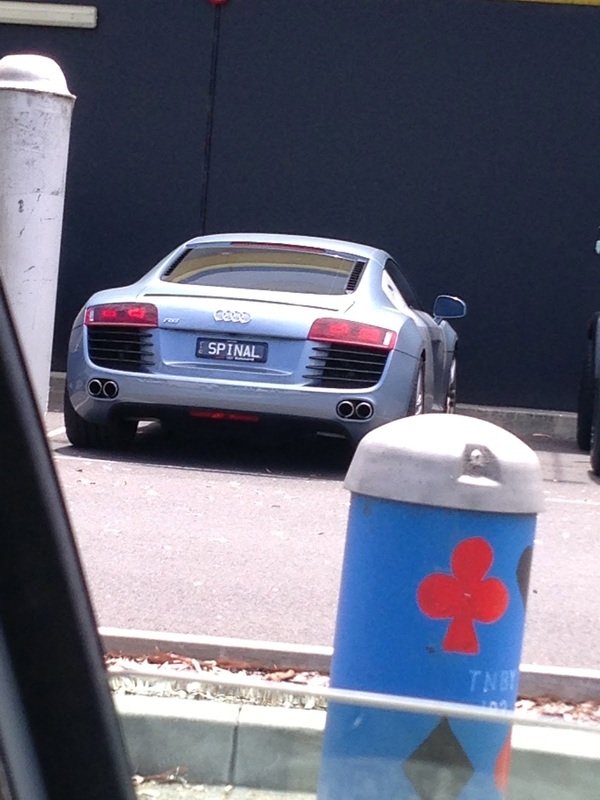 Spinal what? Injury? Tap? Inquiring minds need to know more. Here's a picture from Cape Bridgewater, down near Portland. It's of windmills and ocean and Appleheart, a fine gentleman I'm knocking around with. After this, we saw a bunch of fur seals, kangaroos and a petrified forest, and then I ate a fig. It was an excellent day. Finally, here's a picture of Midbro and Little nut doing a Britney Spears. 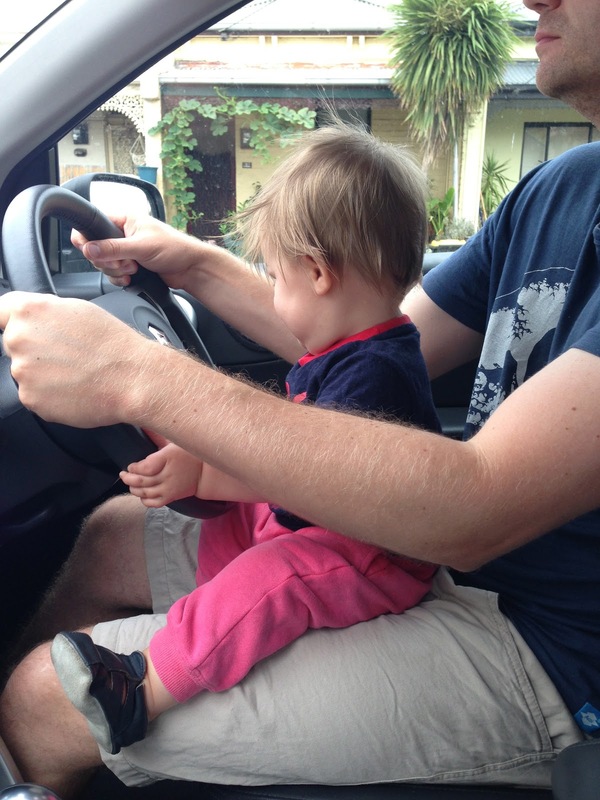 It's OK, the car was stationary. Now let's see what J's got for us!